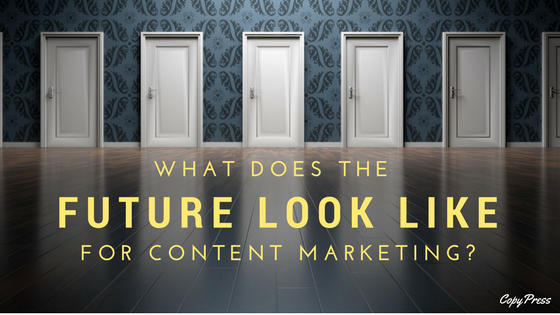 What Does the Future Look Like for Content Marketing? 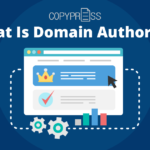 Michael Walton is a freelance writer, editor, and novelist dedicated to delivering engaging content that satisfies readers' needs and leaves them wanting more. When he's not writing content, you may find him writing novels, writing about writing, reading, or hiking in the beautiful Rocky Mountains. That’s right. We can see the future. And we don’t need a seeing stone or three wishes. 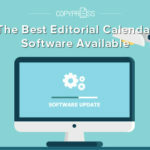 Content marketing shifts and evolves all the time, but it doesn’t take much to see that certain trends are here to stay. We’re not talking about fidget spinners or fake, thick glasses; we’re talking about the trends built around consumer preferences and attitudes. Because while technology may advance, people don’t change as quickly. They still want relevant, engaging content, and accessible, relatable brands. The task comes to businesses like you to deliver the content your audience wants through the channels they prefer. Thanks to plentiful data, you can now prepare for the future of content marketing. Here’s what it looks like and what you can do to be ready. With improved access to websites and social media thanks to the pervasive use of smartphones, Internet users are increasing their consumption of content, especially on social media. HubSpot found that content consumption has increased by 57 percent on Facebook, 25 percent on Twitter, and 21 percent on LinkedIn, all in the short space of two years. The accessibility and convenience created by smartphone technology and mobile website optimization have made it easy for anyone to seek out content, and that trend isn’t going anywhere. We’ve bred a mentality of instant gratification when it comes to obtaining information, and while some will debate whether that’s good or bad, it’s here and businesses would do well to make the most of it. First, since users need that information fast, you should optimize your website for mobile usage. If your site struggles to adapt to a mobile device, users likely won’t go through the inconvenience of giving it a chance. Every year, mobile usage continues to exceed desktop usage, so don’t let yourself fall behind. 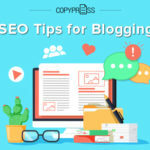 In addition to optimizing websites, businesses need to develop an ample amount of content capable of keeping up with the increasing demand. And the content’s quality needs to match its quantity. If users don’t find what they want in content within a few lines, they’ll leave and likely never return. 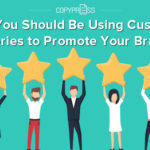 Businesses should also recognize that users aren’t as likely to find content on their website as they will on the social media sites mentioned previously. Spread the love to as many channels as you can. As content consumption increases, we’re getting a clear idea of the types of content people prefer now, and what they’ll continue to crave in the future. The same HubSpot study researched what types of content users are more likely to skim and which they were more likely to thoroughly consume. 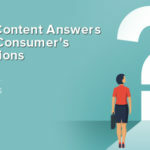 Unsurprisingly, video content and social media posts topped the “Consume Thoroughly” list, while users reported that they tend to skim blog posts and long-form content. This doesn’t mean you should delete your website’s blog or abandon long-form content. It’s less about the content itself and more about the reading habits of users. They likely still want the nuggets of information in your content, but they just want it more quickly. With these habits in mind, make your content more manageable. Use bullet points, which make content easier to digest quickly. Use section headings that adequately reflect the content below, so readers can easily find the areas they’re most interested in. When asked what types of content consumers want to see more of in the future, social media posts took the lead with news articles and videos only barely lagging behind. Long-form content and podcasts came in at the bottom. But wait. You may ask, “I’m not a news provider, so how can I take advantage of that trend?” You don’t have to become a tabloid; don’t worry. We need to look at audience attitude, rather than just the content type itself. Your audience wants to be informed. They want to know how events will affect them. When you can, draw connections between relevant news and your product, service, or area of interest. For example, let’s say you run an automobile website. You could publish content about how readers can reduce their environmental impact. Whenever you address news issues, though, always be aware of biases, both your own and those of your audience. Maybe you avoid any bias or maybe you take advantage of it in order to identify with your audience. Just ensure that whatever you do is intentional. A Forbes article last year called video marketing the future of content marketing, and the numbers seem to agree. A study from Cisco found that video is projected to constitute more than 80 percent of web traffic by 2019. YouTube has also discovered that mobile video consumption grows by 100 percent every year. Videos help customers make purchasing decisions. They boost click-through rates. They make ordinary content extraordinary. And in the future, users will only want more of it. What makes video so powerful? What can you implement into your videos so they take advantage of this advancing trend? Videos bring your brand to life. They transform your company from a set of well-written content pieces and advertisements to a relatable, dynamic, personality. They put faces and individuals to the voices and ideas that your audience has come to love. Videos craft stronger connections between your brand and your audience, and your audience longs for that connection. If you want to effectively ride the wave of this trend, implement various types of videos (how-to videos, product videos, live social media videos, etc.) into as many channels as you can: across your social media pages, on your website, and especially on YouTube. Keep your tone consistent with your brand, but don’t be afraid to show off your brand’s personality. Who knows what will come along in the next week, much less the next year, or the coming decade. The best you can do as a brand is prepare based on the trends and data you observe now. Know your audience, know the technology, and know your brand, and you’ll be able to weather the uncertainty of the future of content marketing.